Sustainable Job Will Created For Our Teeming Youths – Mashood Mustapha – Royal Times of Nigeria. A frontline governorship aspirant on the platform of All Progressives Congress ( APC) in Kwara State, Hon. 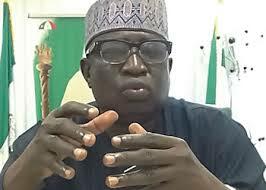 Mashood Mustapha has vowed to create a viable economy that will make the youths to be productive and independent. Mustapha stated this on Tuesday at Parley organized by the party executives and stakeholders for APC Governorship Aspirants at the Savannah Event Centre Ilorin. According to him “Governance is more about creating conducive environment for investors to show genuine interest in investing in the state and that would definitely give birth to thousands and millions of jobs opportunities. The former federal lawmaker said his agenda for state focuses on sustainable development, infrastructural development and reduction of poverty. Mustapha added that he will run all inclusive government that will touch life of all the people of kwara state irrespective of their status, location or creed. He, however frowned at untimely payment of salaries most especially teachers and local governments staff who are very much in numbers and closer to people at the grassroots. He therefore promised not only to be paying as at when due but to take care incentives of workers, thereby motivating them and improve their productivity. In his opening remark, the Minister Of Information and Culture Alhaji Lai Muhammed said the parley was organized to give fair play to all aspirants ahead of primaries and tell people their agendas for kwara and how to carry generality along when get to power. Ugandan govt tightens security as Bobi Wine returns.